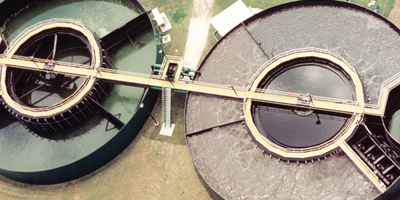 Water & Wastewater Systems for Municipal | Smith & Loveless Inc.
S&L's Municipal Sales Division provides pumping, wastewater treatment and water treatment solutions for installations with municipalities and public works departments. From large metropolitan cities to small towns and rural water districts, warm climates or cold, we deliver innovative solutions. Smith & Loveless has designed a full line of factory-built pump stations and water booster stations to meet the vast array of pumping applications seen by public works. Collection system lift stations represent a significant investment, not just initially but over time as well. Therefore, asset management and life-cycle costing becomes a major aspect of pump station ownership . That’s why more municipalities are specifying Smith & Loveless pump stations …which are designed for simple, low cost operation and maintenance. Smith & Loveless Pump Station’s 25+ year life spans are an added benefit. Learn more about the proven savings gained by S&L pump stations compared to alternative submersible stations. Custom-built water booster stations offer cost-effective benefits to built-in-place water boosters. For more than 40 years, Smith & Loveless has improved municipal wastewater plant headworks around the world with its proprietary vortex grit removal system, the PISTA® Grit Removal System. Now, with the acquisition of SCHLOSS™ Screens, S&L augments its market leadership in wastewater headworks and separation technlogogies with a comprehensive line of headworks screening, compacting, conveying, washing and dewatering technologies. 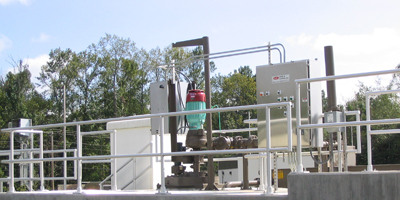 For municipalities requiring off-grid wastewater treatment systems to meet growing demands, Smith & Loveless provides a full range of package and field-erected treatment systems, including unique and patented processes to meet specific requirements of each application.